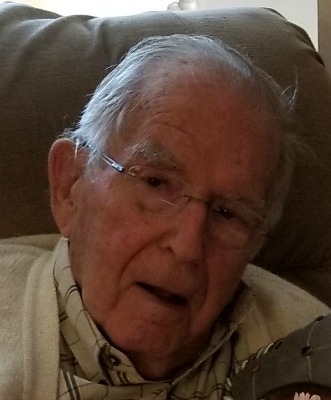 J. William Snavely died on December 31, 2017 in his home at Brethren Village Retirement Community. He was the husband of Ethel (Howry) Snavely. Bill graduated from the former East Hempfield High School and then served in the United States Army Air Corps. He retired from the family lumber, building materials and millwork businesses. Bill was a member of The first Church of God in Lancaster where he served as Deacon, Trustee, Sunday School Superintendent, Property and Visitation Committees. Bill’s contributions to the community were as follows: The Lancaster County Lumberman’s Association where he served as Secretary/Treasurer; Landisville Lions Club where he served on the Board of Directors as well as past-president; The Junior Achievement and Farm and Home Boards. He formed a committee that was responsible for the construction of the Plaza at the Hempfield Athletic Field honoring people who made a significant contribution to the school; past-president of the Hempfield Alumni Association; the committee of MEDA-Mennonite Economic Development Association that assisted people in need of securing employment; the committee that formulated the construction of the woodworking shop for Brethren Village residents and co-chairing the shop’s on-going committee. Bill was inducted into the Hempfield Sports Hall of Fame with his fellow members of the 1943 Championship Basketball Team. At a later time, he was selected as a Distinguished Hempfield Alumnus. Bill is survived by his wife Ethel and their three children. Betsy wife of Norman Zimmerman of Chicago, IL; W. Thomas Snavely husband of Karen Buher of Pennington, NJ; and, Jo Ann Barton of Mount Joy, PA. He is also survived by his two granddaughters Jennifer wife of Britton Thomas of Arvada, CO and Jessica Snavely of Venice, CA; a great-granddaughter Ashlyn, several cousins and many nieces and nephews. He was preceded in death by his parents, his stepmother, Kathleen Rollins Snavely; brothers James L. and Jere M. Snavely, and Jere’s wife Pauline Hoffsmith Snavely and Jim’s wife Marian Snavely. Relatives and friends are invited to attend Bill’s Memorial Service on Saturday, January 6, 2018 at 11:00 AM. in the chapel at Brethren Village Retirement Community, 3001 Lititz Pike, Lititz, PA 17543 with the Rev. Levi Ziegler and Rev. Dr. Dean Vander-Wiele officiation. A visitation will be held following the service. Interment will be private at the convenience of the family. So sorry to read of your Dad’s passing. He was, as they say, “good people.” My condolences to you and your family. I am so sorry for your loss. During this difficult time, I hope you can find comfort in the many memories of your husband and father. Lay your burdens on our heavenly father and ask for peace. We are thinking of you as your mourn the loss of your patriarch. We pray for comfort and peace in knowing that Bill’s was a life well lived. His love of family will endure. I know that you all made Bill’s last days as peaceful and comfortable as could be. Your love and care for him were a comfort to him. Sending you love and hoping that each of you finds comfort in memories and in knowing how much you meant to him. Joanne, I am so sorry to read of the loss of your father. May warm memories bring you some measure of comfort in these difficult times. We were sad to learn of Bill’s death. What a wonderful man. Many fond memories of our families attending the Landisville Church of God. Rodger and I know Bill will be missed. With sympathy. Prayers and hugs to you all. My family and I were so sad to learn of Bill’s passing. We will really miss him and our thoughts and prayers are with you and your family. He was a tribute to the Greatest Generation for sure. He was a true leader as he really knew how to relate to people and treated everyone so fairly and with kindness. I will never forget him telling me to call him “Bill” and not to call him Mr. Snavely. Our hearts go out to you. I am so sorry to hear of Mr. Snavely’s passing. I feel honored to know such a kind and genuine man. I always enjoyed talking to him even if he could never remember my name!! I hope all your memories will help you through this difficult time. He will be missed.